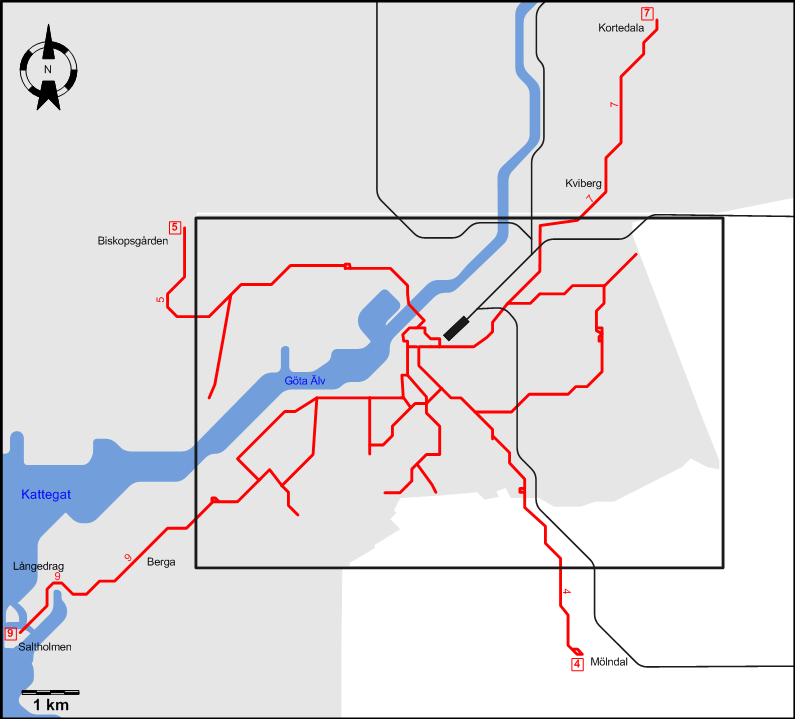 Urban tramways: (horse-drawn) 24 Sept. 1879 - 28 Oct. 1902; (electric): 29 July 1902 - today. There is a heritage tram service called the "Lisebergslinjen", operating mostly in the summer, between the Central Station and Liseberg. Hammarson, S. Zeppelinare, Limpor och Mustanger: Spårvägen i Göteborg 100 år. Malmö: Frank Stenvalls Förlag, 1979. 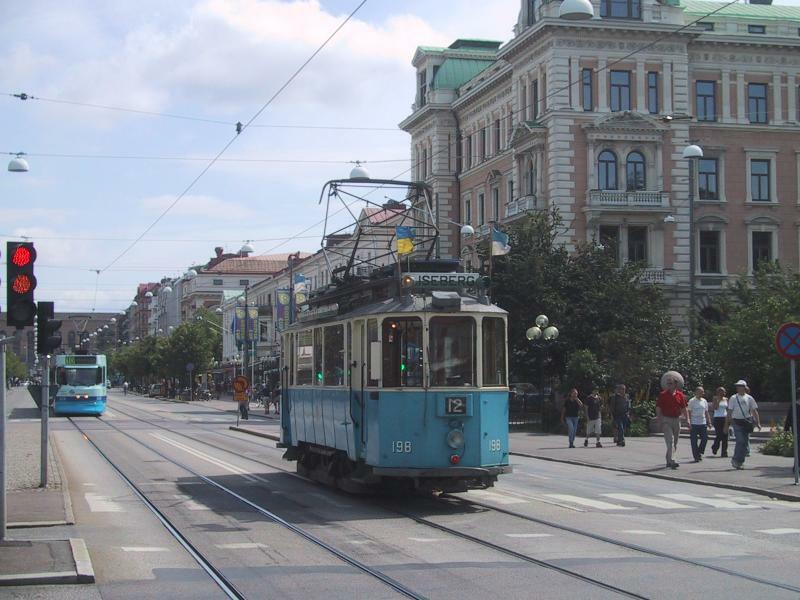 Pulling, N. "Systems Factfile: No.73 - Gothenburg, Sweden", Tramways & Urban Transit, Oct. 2013 (76: 910), p.435-439. Taplin, M. "Systems Factfile: No.10 - Göteborg (Gothenburg), Sweden", Tramways & Urban Transit, Apr. 2008 (71: 844), p.147-149. Wansbeek, C.J. 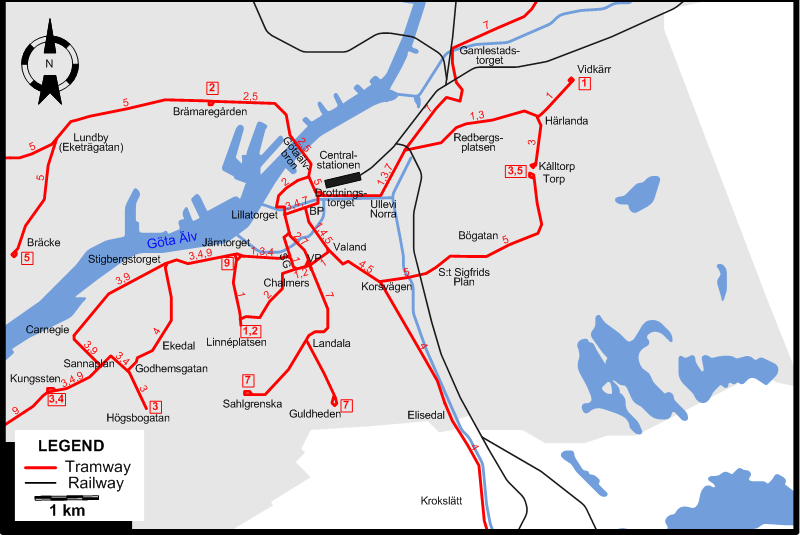 "Gothenburg: 40 years of light rail tradition",Tramways & Urban Transit, Oct. 2001 (64: 766), p.376-379. Wyse, W.J. "Göteborg (Gothenburg) [News item]", The Modern Tramway , Jan. 1961 (24:277), p.240-241.